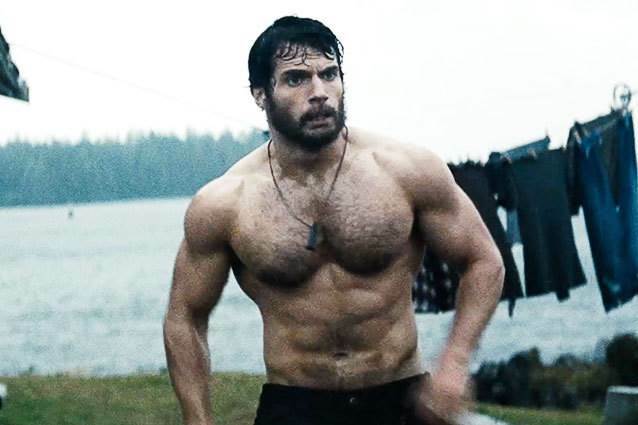 Finally got around to watching Man of Steel​ last night. To be honest I’d been warned that it was a bit of a damp squib, and consequently I spent the first twenty minutes with my finger poised over the EJECT button on the remote control. But you know what, it wasn’t bad. Helped significantly by a really strong cast (there are famous faces popping up every five minutes – and Henry Cavill is absolutely perfect in the lead role) it’s basically an interesting re-telling of the origin story we’re already familiar with – and in some ways it’s a remake of Superman I & II (back when Christopher Reeve​ was in the role)… with one notable absence. There’s no Lex Luthor​. Just a fleeting mention to Lexcor on the side of a truck! That said, it starts well, and the story is pretty strong… until, that is, the bad guys rock up in earnest. At this point the film nose dives into one tediously long special effects fight sequence after another – and they go on, and on, and on, and on! I could have forgiven it for this if the ultimate conclusion of all this fighting, loss of life and destruction had been some clever plot twist where Clark saves the day because of his superior morality, or because of his human upbringing, or because of a flaw in the villan’s logic, or because of his love for Lois, or something other than just finally managing to get the Emperor Zog (or whatever his name is) in a head lock. But no. That’s it! You’ve just watched an hour of computerised wrestling. Tedious! A little more witty banter wouldn’t have gone amiss either. Despite these failings I made it to the end, and it was ‘ok’. And if there’s a sequel it might be worth a look. Let’s just hope they get a better writer for the screenplay.